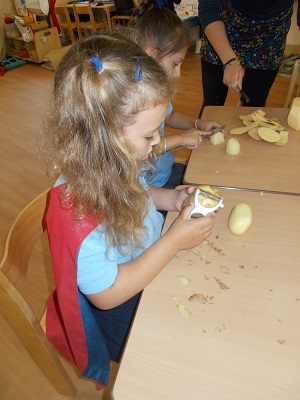 Please click here for our Summer Term topic. 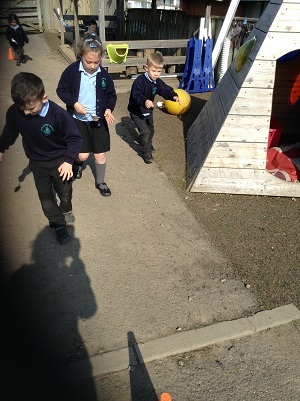 Please click here to read our letter about children applying sun cream. 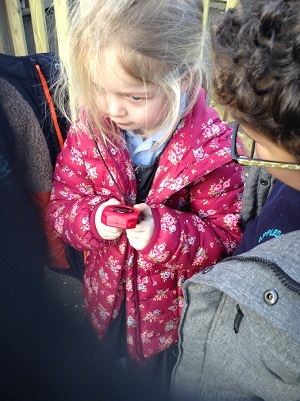 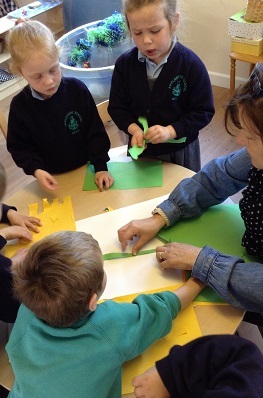 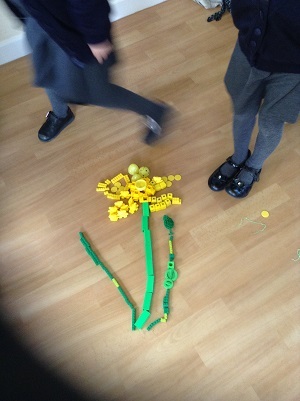 We went off into groups and each group had a different type of media to use to create a daffodil. 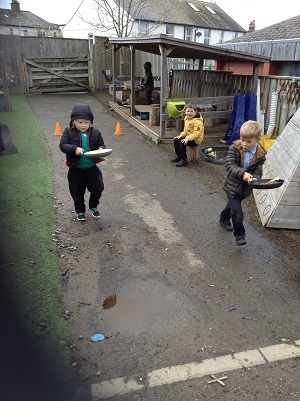 Having an egg and spoon race. 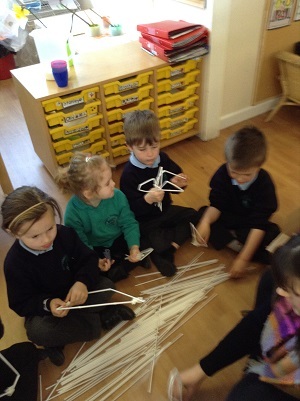 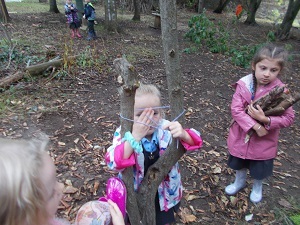 We read the story 'The Lighthouse Keeper's Lunch' and went down to The Jungle to make our own pulleys. 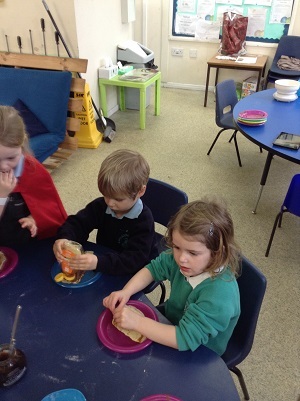 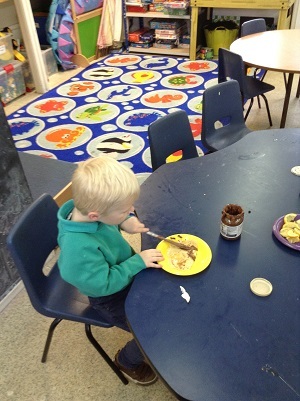 We have thoroughly enjoyed Pancake Day! 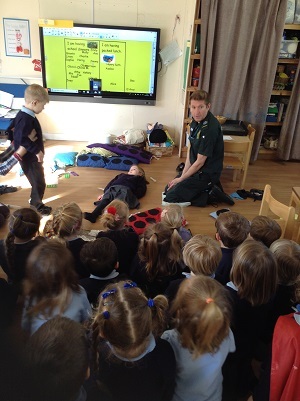 Stanely's Dad came to talk to us about his role as a Paramedic, he taught us how to put someon in the recovery position. 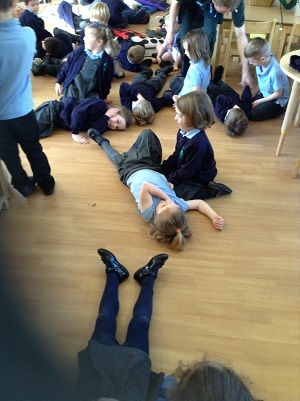 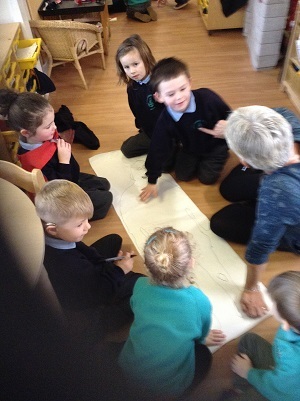 As part of our topic 'People who help us' we have been finding out about our own bodies. 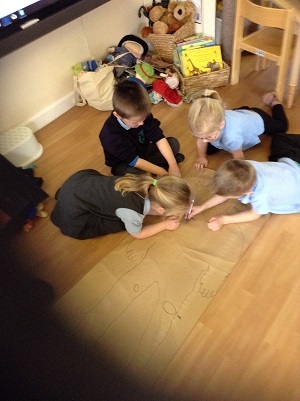 We drew around each other and then had a go at labelling different body parts both internally and externally. 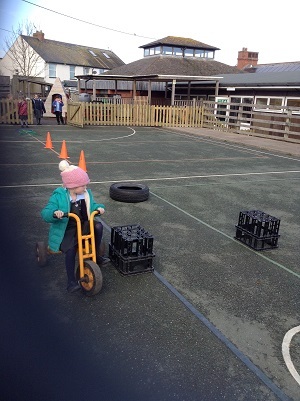 We had some interesting ideas! 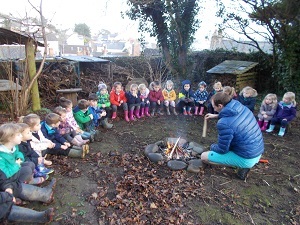 Enjoying a camp fire in the Jungle. 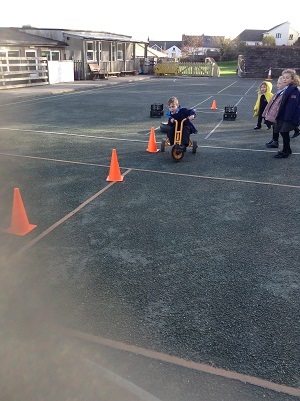 Today we pretended we were Police Officers driving really fast through an obstracle course, we timed each other to see who was the fastest but also the most accurate. 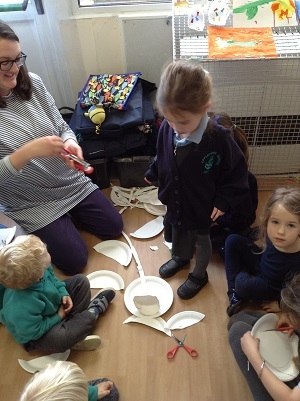 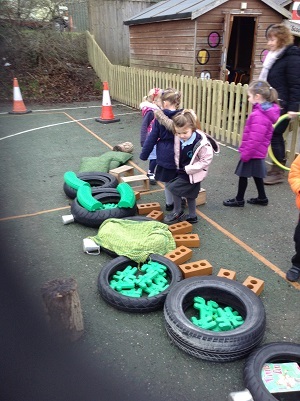 This week we came into school to find a mess! 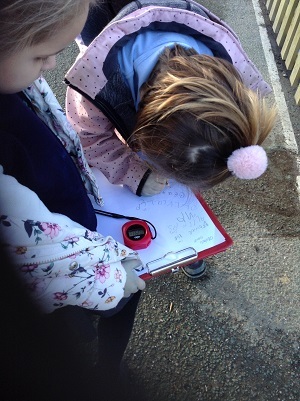 We turned decetives to find clues and find out who had come into our classroom. 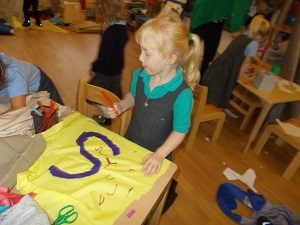 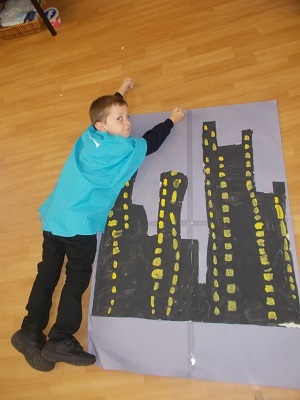 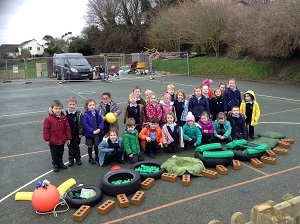 We completed our own 'Art Attack' of The Hungry Caterpillar. 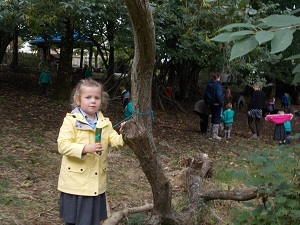 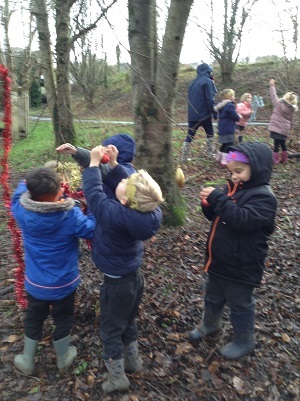 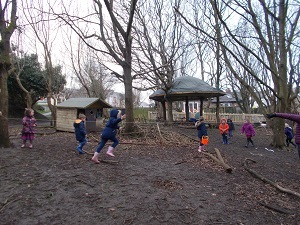 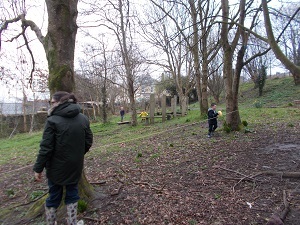 We went down to The Jungle to decorate the trees for the woodland creatures. 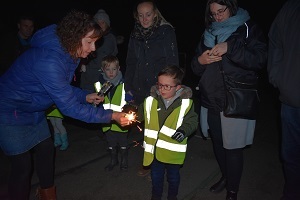 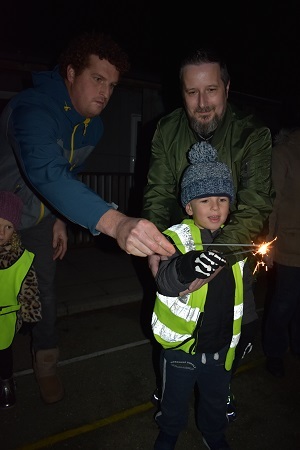 Our Firework Party was a huge success, we hope you all enjoyed the fireworks, sparklers and hot chocolate. 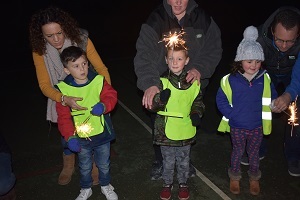 Thank you to Blak Property for buying the fireworks and sparklers for us. 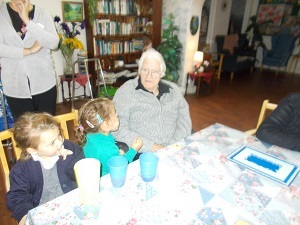 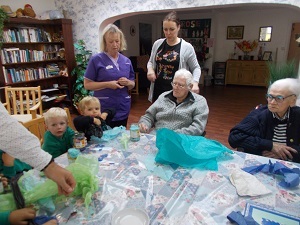 Enjoying our first visit to Donnington Nursing Home, we made lanterns. 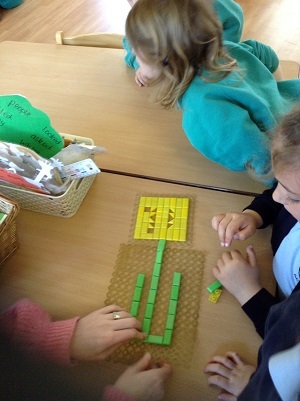 The Evil Peas took the Super Veggies to The Jungle so we decided to make traps to capture the Evil Pleas. 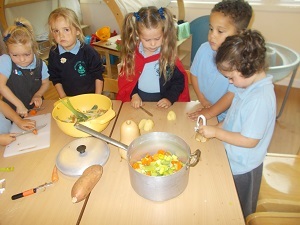 We thought about what the Super Veggies might eat to be super strong and we made our own Super Soup.